How do I make it visible? You can bring back the language bar using the Start > Control Panel > Region & language > Keyboard > Keyboard languages. 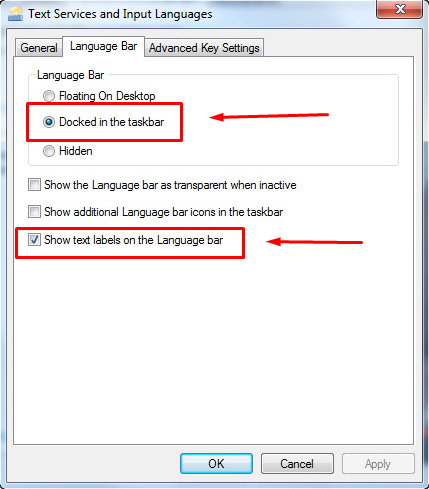 Use the settings as shown in the image below and the bar will appear back in the task bar. How to bring this language bar on desktop?